With several link-based updates and announcements from the Google search team, it is very obvious that link building today is leaning towards a brand-based game where the swiftest and the most creative marketers will win. Early this year, I’ve been asked several times on what specific link building tactics (strategies) I’d be focusing on this 2015 given that a lot of search marketers from forums, blogs and community sites are emphasizing that most of the older conventional link building methods will now be ineffective and extinct starting this year. Though changes are inevitable, most of the link building techniques that I know that are still effective these days are the ones we commonly missed and forget to try out. Without further ado, here are 2015 link building tactics that we have been effectively implementing for our clients’ websites. Content pillars are powerful pages of your website that comprehensively discuss different subjects about your brand. Publishing pillars almost every month will help your brand achieve its link building goals, since your contents will be rewarded with contextual backlinks from researchers/bloggers looking for references for their works (especially if your pages are marked as highly resourceful). Here are the easy steps that you can follow to establish content pillars on your site. Find topics that are thematically relevant to your brand. You can use Buzzsumo to find the web’s popular posts on your chosen subjects or themes or check out this recent post on Moz on how to do keyword research within 90 minutes. Second, gather useful and credible references from educational and government institution sites where internal resources are freely available to the public. You can also use Google Consumer Surveys to collect timely data in your industry. See this post on Siegemedia on how to properly conduct Google surveys. Another way to collect information that’ll support your content is to ask your sales team for customers’ stories. This type of content can serve as case studies for your brand and strong evidences of the quality and value of services/products that your company provides. Third is to add design elements to your content in order to improve user experience and increase engagement rate, since the more attractive your content is (i.e. it explains the information in the content using visually appealing images/diagrams), the likelihood of getting your visitors stay on your website is higher. If you want to add custom-post specific banners to your content, you can use ordinary tools like Paint and Adobe Photoshop which will help you easily craft images customized for your every blog post. If you don’t have time to do that, then hire a Fiverr graphic designer for only $5 at the maximum but if you have a lot of money like Brian Dean, then you can spend $50 for every featured post image. Add boxes and callouts to separate texts and information nicely. 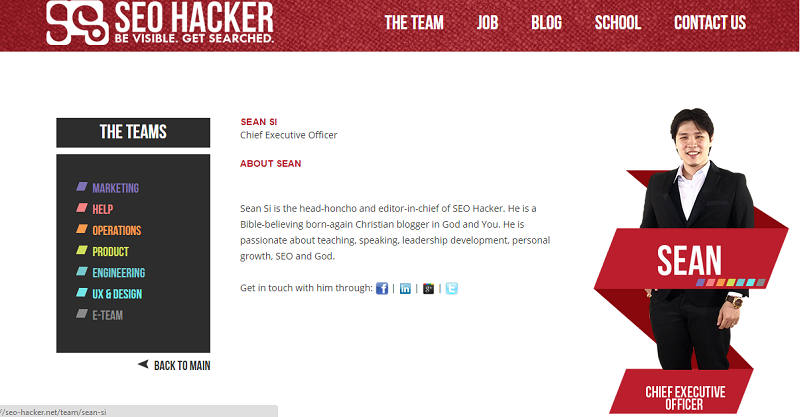 Section banners would also be helpful in emphasizing important paragraphs in your page. For that, you can use tools like Content Builder or Visual Composer (which I personally used for my branded pages like My Company and About Me pages). Link your content from your existing internal pages in order to boost your content’s page authority by passing internal link juices to it. This will also help the page site visitors from pages where you’ve been linked from. Once your content is published, make every effort to promote your page. As what content marketing experts say, publishing your content is only half the battle, the other 50% is your content promotion strategy. Participate in online discussions like forums and Q&A sites and share your content when the topic is relevant to your page. Tip: Use IFTTT to set email alerts for your target keywords so when someone asks a question on Quora for example, you’ll get a straight email from the site. Use Facebook and Stumbleupon ads to get your content in front of your target audience. Facebook has its custom defined audiences where you can set the options to your desired group of people (check out this resource by Paddy Moogan). For Stumbleupon, you can read this comprehensive post by Ross Hudgens on Stumbleupon Marketing. 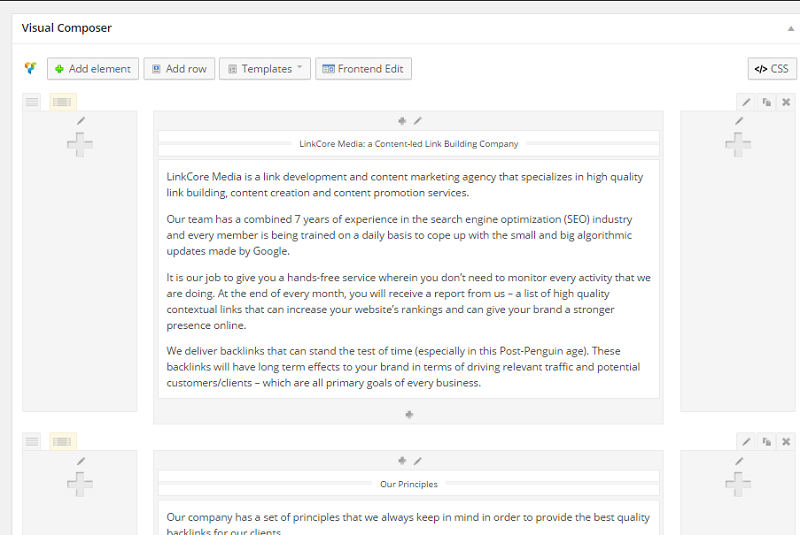 Find potential linkers in Delicious who obviously should have blogs to link to your content. See this post by Jason Acidre on how to do linker outreach using Delicious approach. There are still a lot more techniques that you can try out to promote your content. Find one in this post and apply it to your campaign. Links pages are visible in any type of industry on the web. Whether you are in the travel niche or pest control, you can find tons of pages that voluntarily link out to highly useful contents in their industries. In requesting for linked mentions from resource pages, 80% of the success lies on the quality of your content (design, information, uniqueness, etc..), the other 20% is based on how obtainable the link will be. You don’t need to spend a long time to converse with potential linkers to earn links from resource/links pages since they are always seeking for new resources/guides to add to their pages (keep in mind some indications of request in the latter part of the page). The question is, how can you find these resource pages in your industry? Find linking domains of pages similar to your content (one that is targeting the same keyword you want to rank for). 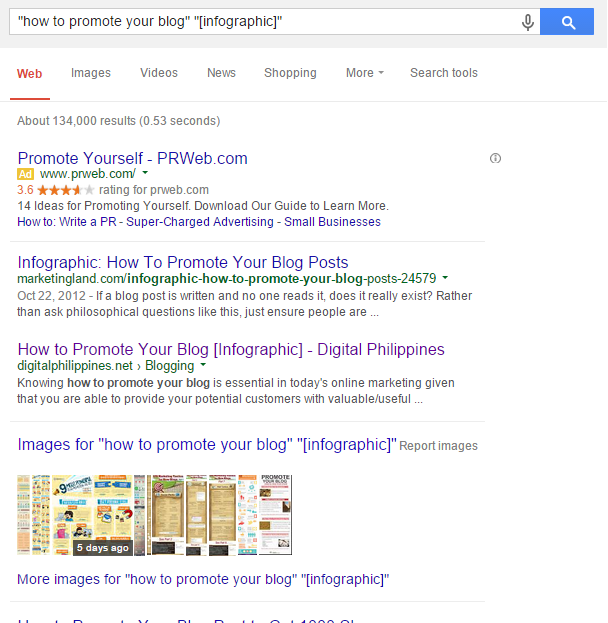 You can do a Google search for a very specific keyword phrase (e.g. 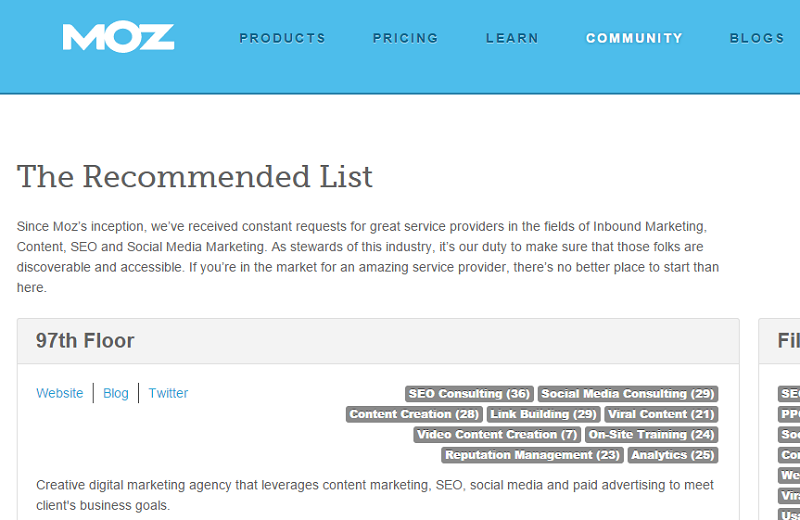 email marketing best practices) or use Buzzsumo to see the most shared pages on the web. 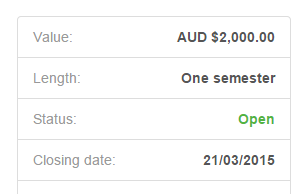 Determine semi-relevant niches and search for existing resource pages. For instance, if you’re an in the running shoes industry, then you might look at links pages in the fitness and exercise spaces. Advanced search terms you can use may include inurl:links OR inurl:resources [keyword]. 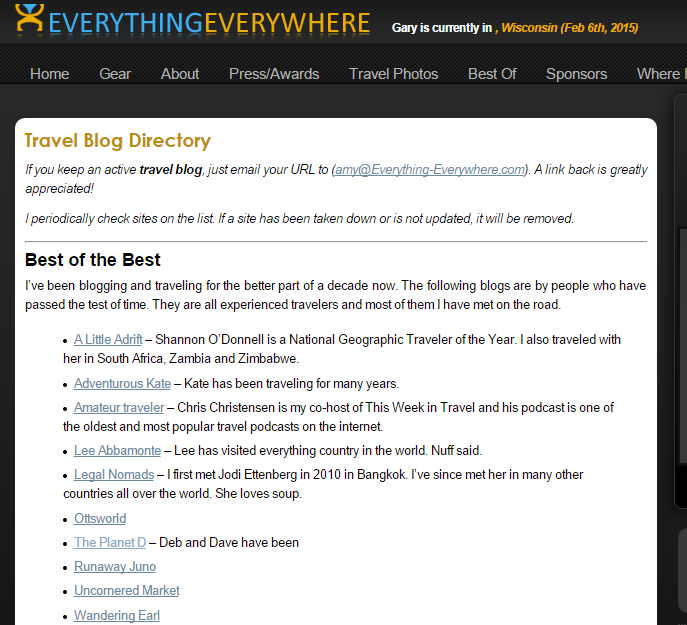 See friends’ lists of blogs for contextual link opportunities and add them to your outreach database. Suggest your resource as a replacement to broken links in their resource pages (if the broken link and your content is relevant to each other, there is a high chance of earning the link). Find grammatical errors in the resource pages and use that as your value add-on to your pitch. Add suggestions on how they can fix those errors (e.g. give them the right words to include in the content). Provide feedback in your email specific to the resource page where you want to get a link from (i.e. give constructive criticisms in layout and design and list down suggestions on how they can improve it). With add-on values mentioned above, you’d get a higher possibility of earning links using resource page link building. You can check out this post on how to build links using a simple broken link building process. Brand engagement is one of the untapped ways to intentionally reach out a group of audience, understand what their needs and wants, and building solid relationships that will get them voluntarily link to your existing content assets. Social media plays a role in connecting influencers and bloggers in every industry and helping every social participant learn and benefit from the others. Provide unique actionable tips to every answer you tweet/share in social media questions (which are commonly given by the brand’s modulator), since this will somehow make you stand out among the rest of the participants. For instance, SEMRush recently did a weekly Twitter chat entitled, #semrushchat which gives everyone a chance to answer five questions that are topically themed to one main subject (e.g. startup marketing). 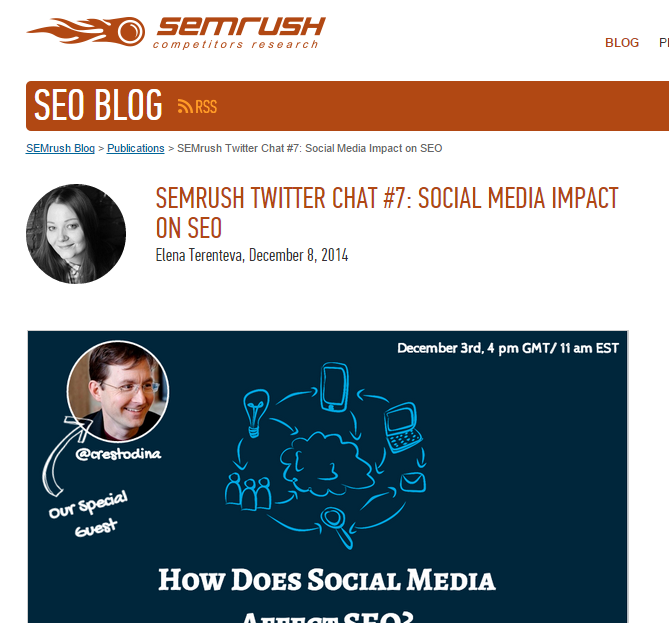 After the social chat, there is a round-up post published on the SEMRush blog that lists down all memorable answers from the social discussion. 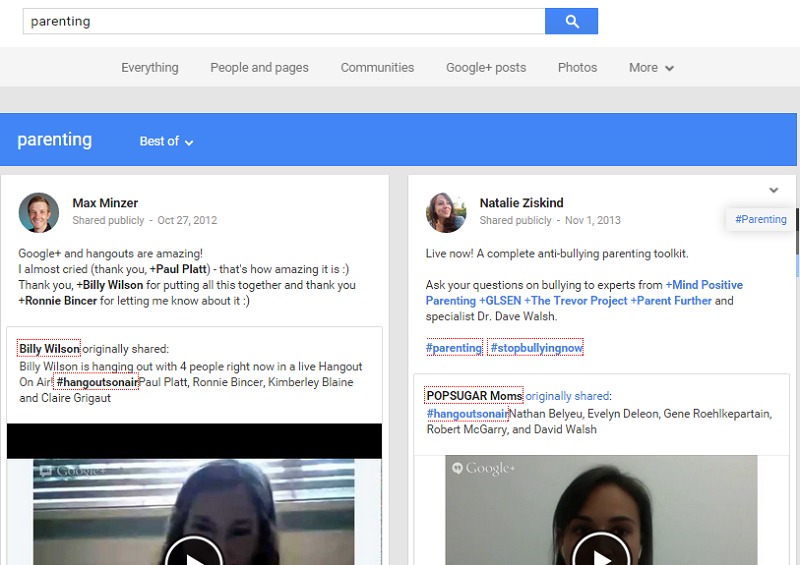 You can also participate in a few weekly Google Hangouts in your niche. Find them by searching on Google Communities (see the example below). Given that hangouts will provide a good exposure for your brand, make the best that you can to participate in a lively manner, by asking questions after the presentation is done or when the moderator gives you a go signal. Suggest topics for the next hangout. This will get participants remember who you are and what kind of contribution you are able to provide to the community (static marketing). Spend 15 to 20 minutes every week answering industry-related questions on forums and community sites like Quora. Provide links of your site’s internal resources if they are necessary to include in the discussions. Answer questions in emails that seek for free advices whether or not they’re influencers or newly comers in the industry (e.g. bloggers who’re still building their own brand). This type of action may help you build a solid community that follows directly your brand and could potentially become your active social sharers for your every new published content. Brand engagement can help you increase your content’s number of readers, social shares and backlinks given that a memorable (static) exposure on certain community platforms will push bloggers and influencers to remember you when they write their future blog posts (in other words, they certainly link to your content). Forum marketing is a conventional practice in the search engine optimization field and is often used by link developers to manipulate search engine rankings by creating multiple forum profile pages with commercial keyword as their anchor texts. Forum has been around for a decade and has been used primarily for learning purposes. There are always mutual benefits between forum users since they can ask questions, get answers, and at the same time, answer topically related questions they have knowledge about. Forum is a freedom expressive platform where users are able to exchange ideas with one another, concepts and knowledge that are related to the industry where users belong in. Forum provides monetary opportunities for users through potential clients/customers (leads) who’re looking for direct answers to their questions (e.g. one travel blogger is asking for what car relocation company is best in Australia). With the third reason above, forum marketing will certainly become one of the most profitable link building opportunities on the web. Forums do not only give links to participants but helps companies of products/services to build awareness for their brand and create outstanding profiles that people would want to follow and link to from their own hosted sites/blogs. 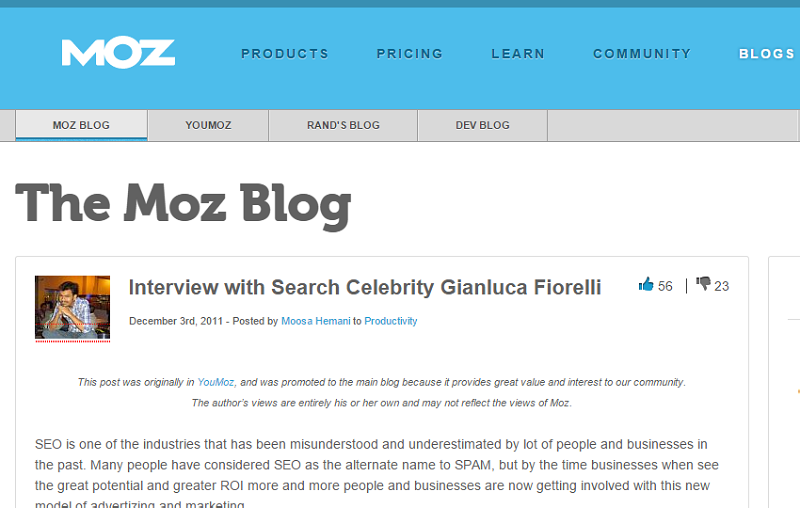 To give you an example, I got a link from Moz’s Community (internet marketing forum) late last year. That link still gives me a constant number of leads almost every week. Since most of the mentions are voluntarily given and they provide feedback on what our brand is capable of doing in terms of delivering high quality link building services, clients coming from that forum have high conversion and retention rate. Indeed, if you’re looking to spend at least 15 or 20 minutes every week in just one link building tactic, then go with conversion-oriented forum marketing. Interview is one of the powerful pages that improves one’s branding online and helps a company gain its reputation and authority in the industry. Most of the time, interviews are driven naturally by asking someone questions that are relevant to his/her niche and compiling all given answers into one page. However, you can also have interviews by pro-actively approach someone who is doing interviews on his blog and asking if you can become part of his/her interview series. The success rate using this approach depends on the details of your pitch and on the quality of your answers to the interviewer’s questions. Once the interview is lived, you will surely get a link from the interview page, where there’s a possibility that the page can also rank in search results for your personal brand (simply do a Google search for your name). I’ve tested interview hacking last year and this led me to getting two straight interviews (one is in the Reddit AMA – Ask Me Anything). The forum interview currently ranks for my personal brand, which now brings me some good potential clients every month and helps solidify my authority in the search marketing industry. Here is a short step by step guide on how to apply interview hacking. Find industry interviews that are within your reach (i.e. blogs that are hosted by mid-tier influencers/bloggers). You can use search terms like “interview” “INDUSTRY” to find existing interview pages in Google or do a Google search for a current authoritative brand in your space, since there may be a lot of interview pages that linked to it before. Look for the email addresses of bloggers or other contact persons hosting the blog/site using tools like LinkBuzzmaker, VoilaNorbert and Rapportive. Pitch bloggers using the sample email copy below. Answer thoroughly all questions given to you. Provide actionable tips and useful resources as much as possible. Try not to link to as many pages from your website and only mention your site’s contents when they are relevant. Promote the live interview page on your brand’s social profiles and put more eyeballs to it by sharing the page to your brand’s corporate partners, offline followers and email subscribers. Monitoring your links regularly can help your brand to project link and content opportunities as well as methods on how you can acquire them, which will definitely base on how your target websites (brands that you are monitoring) obtained those links. Use tools like Buzzsumo and CognitiveSEO to create email alerts for incoming links pointing to your target sites (both competitors and non-competitors) and new content pages that are published in the industry. This will certainly help you seek out for new link opportunities (once those links were crawled by the search engines) without the need to manually find them in a regular basis, which is an cost-efficient practice when scaling link building campaigns. Understand how links were obtained by your target brands in order to lessen the labor costs and time spent in risky methods that are not going to yield good results. Find existing link partners by looking at your competitors and blogs that are connected with them (those sites linking to their posts). Connect with those partners while monitoring their future updates on blogs and other web properties in order to gather more relevant link opportunities. Always be at watch out for new content types (list posts, diagrams, images, etc..) that are getting popular in your space by using Buzzsumo’s features (read this post for more information on how to use that tool). The earlier you create loads of contents that are aligned to one trending content type, there are high potentials that your brand can capture attention from a great number of people in your industry and eventually build your own authority. The easiest way to build links nowadays is through reclaiming all unlinked mentions of your website, whether they are pointing to your homepage or to your site’s internal pages/contents. Given that there’s an initiative acted from the person who mentioned any of your webpages, you’ll get higher chances of quickly earning those unclaimed links. To get started with link reclamation, you can use brand monitoring tools like Fresh Web Explorer to find relevant pages where you have been mentioned but haven’t linked to. For big brands in the industry, brand misspellings are common since there are webmasters that mentioned and/or linked to but unintentionally misspelled the domain name. In this case, you can ask webmasters to fix their errors in their pages and properly link to the right page (your domain). You can check out this old instructional post by Wiep for more information about brand misspellings. Social accounts can also give way to several link opportunities especially if the brand has powerful social pages that are ranking in search results, which are higher than their own websites. Find domains linking to your brand’s social pages (i.e. Twitter profile) and see how your profiles are contextually written in contents. If the personal or brand name was used as the anchor text, it’s a good signal that you can ask the webmaster to replace the social link with a link to your brand pages (about us, our team, etc..) or simply suggest your homepage link. Tip: Create landing pages for each of your prominent staff members, especially those who are involved in the online marketing campaign of your company since you can simply refer webmasters to those contents and have them link to the appropriate page when there’s a social link opportunity opened. If you have redirected your website to a brand new domain with completely new brand name, then find linking pages of your site with branded names used as anchor texts. Though link juice will still be passed on to your website once you redirected your site to a new domain, asking webmasters to change the links and anchor texts would help you increase brand signals for your new website, since new visitors on those linking pages will intentionally search for your new company name in Google. Images are part of the brand’s internal operations, whether they are photos of offline marketing activities or profile pictures of every staff member in the company. In link acquisition, building links with images is one of the easiest link building techniques nowadays, since it will only require a little bit of research on which images have linking pages. Look for websites that published your images in any of their pages using tools like Tineye and Reverse Image Search. Do a Google search for image titles of your brand’s image contents like infographics and see if there are websites that used your contents but haven’t credited you as their original sources. Send simple outreach emails to potential image linkers and ask if they can add a byline/caption below the image(s) with branded backlinks pointing to the original sources (your image pages hosted in your website). 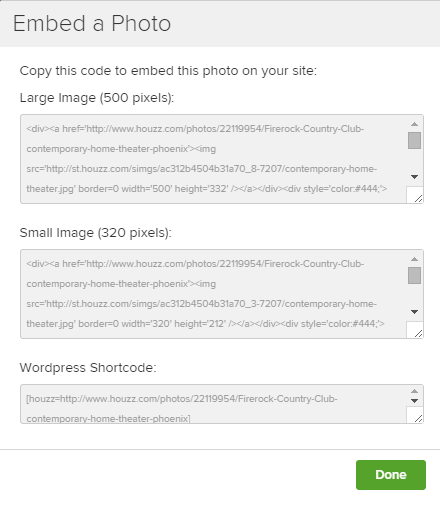 One way to earn image links today is to add image embeds code at the bottom of every photo contents you published. For infographics, you can use SiegeMedia’s embed code generator and for each simple image you add to your post, you can install this Image Embed plugin. The plugin is easy setup and can increase your potentials of getting links straight from someone who is visiting your website/page since every time a visitor right clicks the image (which is a signal that he’d like to download/save the image in his/her database), a pop-up will automatically appear in the screen. This link building method was popularized by Brian Dean on his internet marketing blog, Backlinko, wherein the process is pretty much the same with broken link building, except for the link prospecting phase. In the moving man method, your link prospects would be any websites that’re not already existent on the web for some reasons like the site was shut down due to expensive maintenance costs or the company is bankrupt. To start with, you can go to Google News and search for companies that are already running out of their operations by using terms like “out of the business” “INDUSTRY” and “service no longer available” “INDUSTRY”. See if their websites were shut down, and then add them to your list of target websites. Using Ahrefs or OSE, find all linking domains of all your target websites and filter out any pages that are irrelevant to your brand’s offerings (products/services) and to the contents hosted in your website. Pitch potential linkers with emails telling them that the website (bankrupt company) is not live anymore and it might cause website errors to their future visitors. Wait for their response and then now suggest your advice in fixing the error, which will obviously include the suggestion that your site/content/page may be a good replacement resource/link to the broken link/website. If you want to learn more on how the moving man method works, you can check out this Backlinko’s post and the recent case study of Brian Dean. Linker outreach is one of my favorite link building tactics simply because the success rate of this technique heavily lies on the quality of content being offered to the webmaster/blogger. The more uniquely useful the content, the higher are the potentials of earning the link. Guest blogging or remix marketing as referred by Jason Acidre on his blog, is still one of the effective link building techniques nowadays, though the approach used has already been saturated on almost all industries, the value that it provides to bloggers and influencers is still remarkable. One main reason why guest blogging won’t work for most of the small brands in any niche is that the information provided in the content is too common (no unexpected hooks). Generating unique content as guest posts will not only increase your chances of getting your submitted posts approved but will also make your content standout among all guest posts. Your content will also be recognized by your secondary target readers, which will help you secure more editorial link opportunities for your posts. 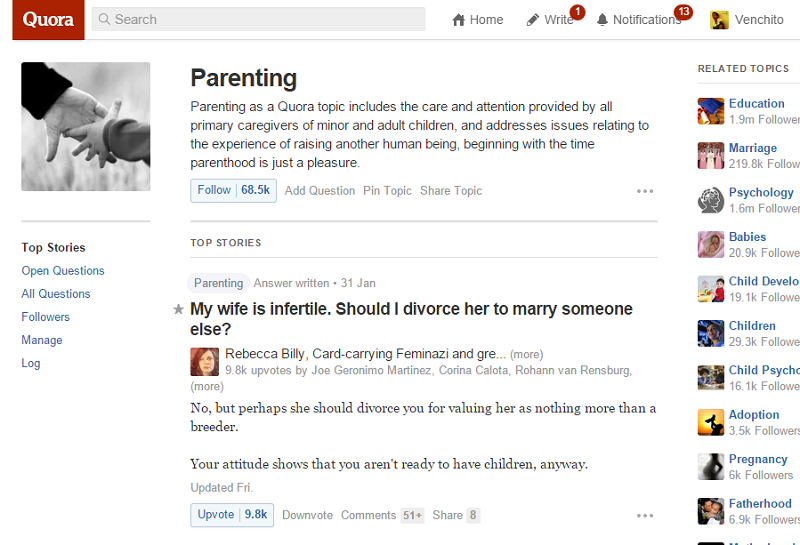 Use Quora and niche forum sites to find questions that haven’t been answered by the community. Do a Google search for the specific question and see if there are current pages that already discussed that same topic. If there are a few posts that answered the question, you can still write a guest post on that, but ensure to outperform your competitors’ contents by providing straight and actionable answers on that same topic. 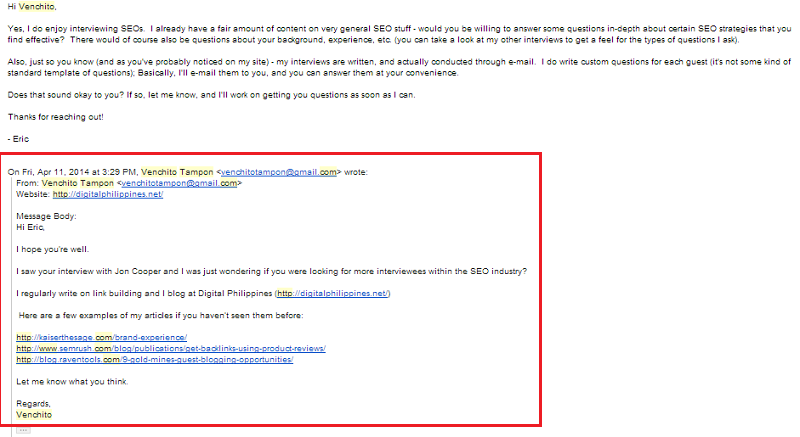 Do an interview of an influencer or an active blogger in your field and compile all his/her answers into one blog post. Then submit the finished content to your target guest blog. Connect your content to seasonal and/or periodic events to increase potentials of going viral, since social media participants might find those types of content interesting to read and share. Invest in creating crowdsourced content (group interview) and curated posts (list posts) given that they are easy to produce types of content, in which you can possibly scale this approach in your guest blogging campaign. Content exploration is just a fraction of the overall guest blogging campaign, wherein you still have to execute outreach and relationship building in order to consistently connect with bloggers and build contextual links for your website. You can check out this post I published last year on how you can execute an easy guest blogging process. Company’s own recommendation of blogs and companies (products/services) is a profitable link opportunity, since it testifies other brands’ offerings and therefore, allows businesses to generate clients/customers from the exclusive directory page. Find corporate partners that have strict editorial guidelines when including companies and/or tools in their exclusive directory content. Though the possibilities of earning links using this approach is lower than other link building tactics, since the method used will certainly be based on how authoritative your brand is and on the existing recommendations/proofs, focusing on building relationships with site owners would be another key to be listed in corporate directories. Tap into the radars of corporate partners by contributing high quality content on their blogs and/or participating in their forums, where you can prove your expertise level in a given niche/field by answering difficult questions within only a few minutes. One of the cost-efficient ways to amplify branded content is through converting your current content assets to other formats that can be distributed massively to content sharing websites. This approach saves you time and expenses since you don’t need to always create brand new pages in order to satisfy your blogging frequency. You can recreate content through other forms which can help maximize its potential in reaching new set of readers, consumers and potential linkers of your brand. Slideshare is a content sharing platform that can bring thousands of eyeballs to your content within a short period of time. You can upload your current slide presentations from your brand’s offline speaking engagements to Slideshare, to capture more views from a local/national audience that you haven’t been engaged with before. This strategy will also allow you to attract potential linkers in your industry who are taking a glance of your presentations and/or manually reading them. Regularly monitor incoming links to your long tail third party content on Slideshare using link analysis tools like OSE and Ahrefs, since backlinks pointing to slide presentations can be changed to your site’s links through a simple outreach method. Providing scholarships to high school and college students in the local and national scene can help the brand build its community given that this type of voluntary action provides avenues for companies to attract social followers from corporate profiles who’d have shared the scholarship page and visitors from referred linking pages (mostly educational websites). Creating your own scholarship program would initially require your company to allot a good amount of budget (somewhere between $2000 or $10,000 or more for high-end businesses). The results of this link building tactic would always go beyond links, since you can always enter into corporate partnerships with non-competitor brands that would only have seen you in high authority domains that are linking to your scholarship page. Once you’ve published your scholarship page, it is now time to identify potential linkers to your content. Do a Google search for inurl:links OR inurl:resources “scholarships” “LOCATION” to find location-based scholarship links pages or perform reverse engineering on your competitors’ scholarship contents to find domains that can possibly link to your page. Then finally pitch webmasters or education tech managers with a simple and straightforward email. Please let me know if you need more details or if you have any questions, you can ask me now. Planning on how you will create and promote your scholarship program is necessary in order to maximize linking opportunities for your brand, which will be dependent on the value that the program can provide and how it is massively promoted. Public relations (PR) has been a phenomenal sector of the digital marketing realm, seeing the need for brands to leverage partnerships with media outlets and journalists (either in the local or international level), in order to massively promote one’s owned content. Though the practice has been overly used by many link developers, as a way to increase the quantity of links acquired for specific companies, there are still good processes that can make press coverage a viable tool for content promotion, branding and link acquisition strategy. 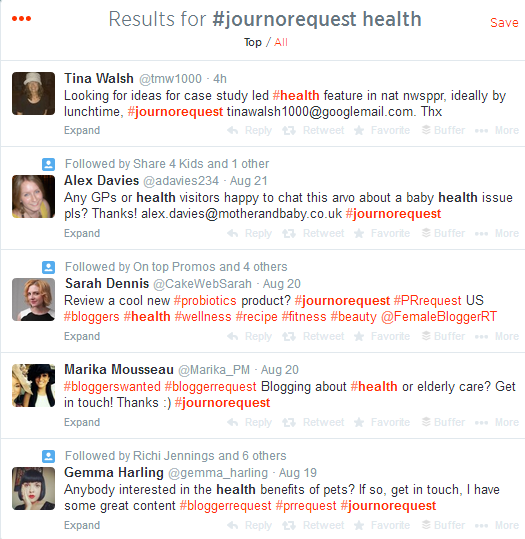 Find press opportunities on Twitter by using search phrases like #journorequest. Since there is an expected interaction between your brand and the potential journalists/media outlets, you’ll have higher tendencies of getting your content covered by press companies. You can also use HARO (freemium tool) to look for interview opportunities that’ll only require a few minutes of your time (answering specific questions that are related to your industry/expertise). Whether or not you’ve been credited with a link, branded mentions from media sites are good trust signals that Google consider in gauging website’s authority. 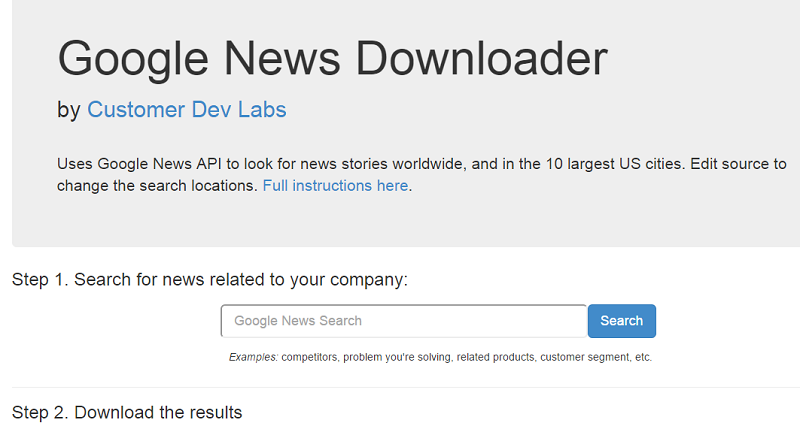 One effective method to track press opportunities is through the manual use of Google News Downloader, where you can simply search for news that are related to your company, download the results and start reaching out to press journalists. If you need help with your link building campaigns, then don’t hesitate to contact us today. Thank you Paul. Hoping that you learned a lot from it. 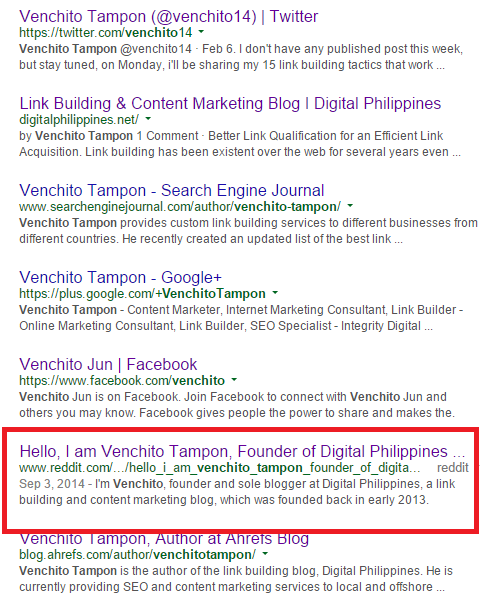 Venchito It almost took 30 to 40 minutes read, And you have shared all strategies a marketer can do in a year. And I never used HARO in my previous strategies but seems like effective one, will definitely give it a try. Nice article, this is very helpful for SEO. Thanks for sharing this post. Effective tactics of link building. Thanks for presenting them in precise words and examples Venchito. I am proud to say that I am using all these tactics except scholarship portion. Very much interested to practice this technique too. Awesome tactics you have here, Venchito! Under Linker Outreach, I would like to suggest BuzzStream to help marketers find influencers within their niche and build relationships with them. Once a relationship is created, you can collaborate on a post for both your sites and get a link back from him or her. Great blockbuster. Been expecting this. I think Quora is such a wonderful community and I’ve been focusing on the platform. How has your experience been on Quora? Have you gotten massive traffic from it before? Because I can’t do everything, I’ll have to concentrate on very few that works. Hello Michael. There are niches where Quora are very much profitable in terms of traffic and potential customers/clients, given the fact that ready to buy people are most likely going to forums and/or Q&A sites before purchasing any product brand or services. Glad to hear this. But like what niches? Can you give me examples please? Really great list of ideas, plenty of things I’ve not considered before and it all looks nice and clean too. Thanks! Well.. This is really a very good stuff. Great ideas for link building strategies.. Thanks for sharing. Great post.. we already using some of technique the given list. But helpful post for me and other users. Content is very power full. You can use content in blogspot, wordpress and other high domain authority sites. Also you can make a slide according topic-vise from content. you covered here some great Link Building Tactics and i hope it will help me a lot. Specially, i am going to concentrate my mind over the strategy of “Build links from resource pages”. 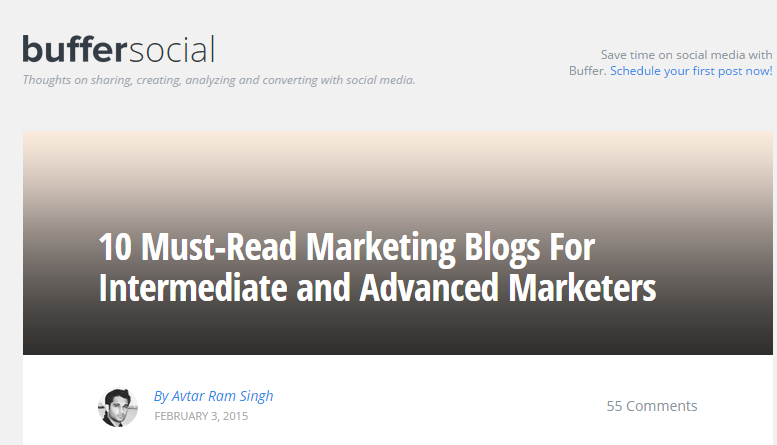 One of the best collection of linking strategy for 2015. I have a question regarding “Moving man method”, how do you get the emails of those linking buddies of the website that was closed down? Another question is, does guest posting applies to local businesses? 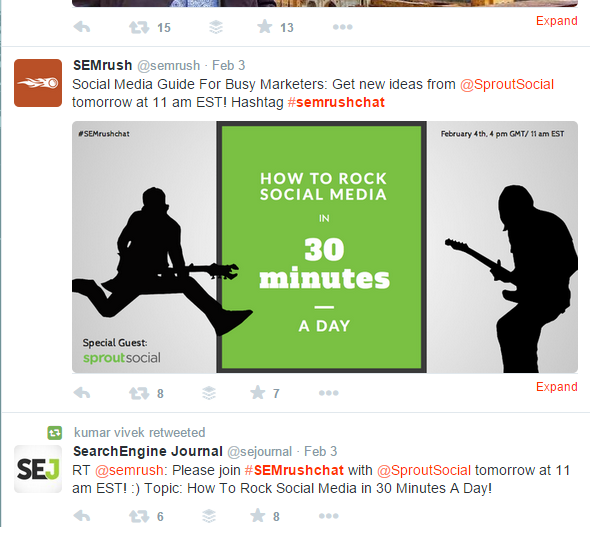 You mentioned Semrush (#semrushchat) and I want to add that it was an insightful moment having that Q&A session. I have always had this tool by my side as well as other interesting ones like serpstat.com that recently came up with more new features that every digital marketer would wanna get their hands on. Guest blogging is no doubt still very effective way to build quality back links and getting traffic from other blogs also. I do it regularly. 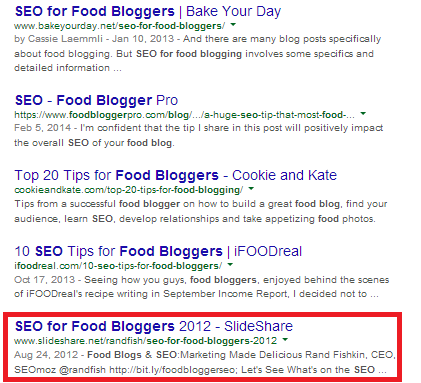 Awesome information and useful link building tactics..thank u for posting. Link building is a good practice but it should not be done in a way that it looks spammy. I think Quora and Yahoo Answers could be even important in gaining conversions and sales directly. These two are important aspects for the link building techniques for the websites. 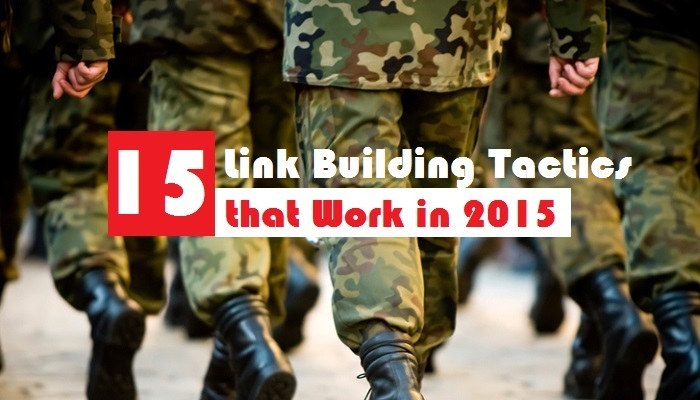 Thanks for sharing the tactics for link building strategy for 2015. Thanks for sharing valuable information about link building. All these great links you’ve shared is really helpful to me and I’ll surely read all this post. This is a very detailed piece you got here. It’s a big help for a new web site like ours. Thanks Venchito!